Maurice does not behave like a Beast should, but he wants to fit in so he goes to The Abominable Academy for Brutish Beasts. Although Maurice tries hard, he just is not beastly enough. Maurice is about to give up until he has the opportunity to show everyone he has a useful skill. Maurice, may be less than beastly, but he is charming and shows that it's okay to be oneself. The lemmings repeatedly jump off the cliff (the side of the S.S. Cliff, a ship that is actually a whale) and Foxy repeatedly saves them. If the lemmings would read Foxy's book about lemmings, they would know they are not supposed to jump off cliffs. If the lemmings are going to read they book, Foxy will have to teach them how. 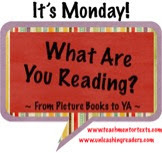 I love the lesson about the power and wonder of reading, but there is also much to give readers a laugh in this book. 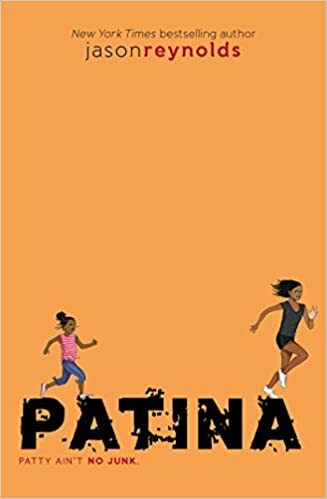 In the second book in the Track series, Jason Reynolds tells the story of Patty, who is new to the track team and very competitive. When she's running she can escape from a less than ideal life situation. She and her sister are living with their aunt and uncle after their father died and their mother became confined to a wheel chair. This book gives a glimpse into the life of a character dealing with the challenges of fitting in and striving to make sense of what life has given her. Patty is a resilient and strong character who readers can learn from. Jaundice and Kale are happiest when they are at home darning socks, tying knots, and cleaning. Their parents, who are off having an adventure, send them to meet their aunt at the train station. 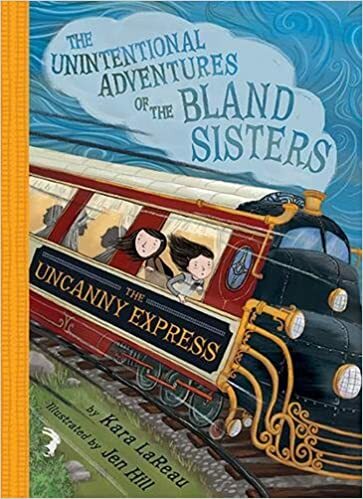 When Jaundice and Kale show up, they are whisked of on the Uncanny Express as assistants to a magician, an adventure their parents planned for them. Their adventure soon turns into a mystery. There's a lot of wordplay and Jaundice and Kale's over-the-top dullness is amusing. Jaundice and Kale may be bland, but their adventures are not. Patina was more interesting to me than Ghost. I hope my readers enjoy it. I've heard a few people say they like Patina better, but I still have to read Ghost. 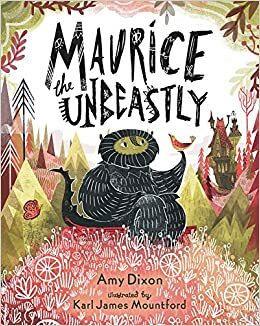 Maurice, the Unbeastly sounds good for younger readers, and I have Patina on the list, need to read it! Lemmings is also one that many are enjoying. Need to look for it, too! Thanks, Lisa! Maurice and Lemmings are two that kids will definitely enjoy! I just ordered Read the Book, Lemmings! from my library. I've loved all of Ame Dyckman's books, so I'm looking forward to getting my hands on this one. Have a wonderful week! 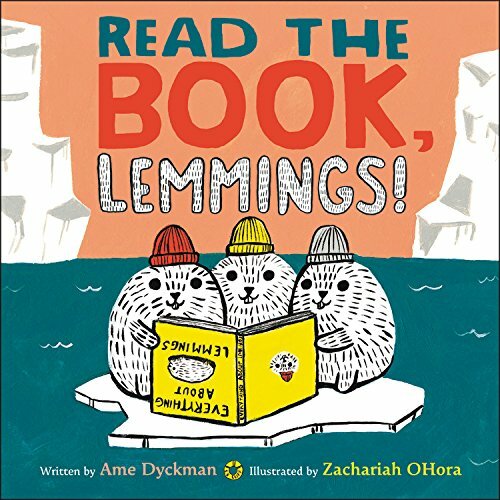 Amy Dyckman and Zachariah O'Hara are a great combination! Isn't Patina wonderful? I can't wait for the third title in this series - Sunny! Thanks for sharing. I wasn't sure who the third would be about. I think Lemmings is a book I'm going to like even more after using it a a read aloud. It's a book that begs for an audience! I can't wait for the second Bland Sisters book. I really enjoyed the first one. I haven't had a lot of readers for it, but sometimes it takes having a series to get them going. I gave it to a second grade teacher last year and she read it aloud. Her students enjoyed it. I agree with Michele about Read the Book Lemmings. I also highlighted it on my blog this week! I can't wait to read it as our #classroombookday tomorrow with a second grade class I sponsor. Ame and Zachariah's collaboration never disappoint. I'm sure those second graders will love it! I enjoyed Patina - but thought the voice in Ghost was more authentic. My kids, however, love them equally, and can't wait for the next installment. I skipped over Ghost, but have to get tot that one. Read the Book, Lemmings! has been discussed a lot this week. I'll have to wait for my library to bring it in. I like both Patina and Ghost and am looking forward to reading Sunny, the next in the series. I'm looking forward to the next one in the series, too!